The following article will cover divorce and life insurance. If you need life insurance for a divorce decree or settlement we are here to help. We work with dozens of the best life insurance companies. However, what you may need is immediate coverage from one of the top no medical exam companies. Either way, we can help guide you to best policy for you based on your specific needs. Give us a call today! 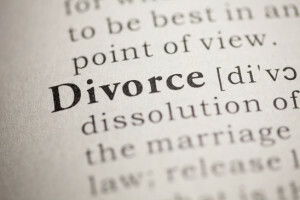 Often, securing a divorce court settlement with life insurance will be required or requested in a divorce decree to help provide continued child support for the children or to provide income to the ex-spouse, who is either going to be or is currently receiving alimony, in the event the ex-spouse dies. Typically, life insurance underwriting can take weeks, if not months. However, we work with no exam life insurance companies that take as little as 15 minutes for approval and you can get up to $1,000,000 in coverage. Is there cash value available? Cash value in a whole life policy may be treated as either separate or community property depending on the state you live in and what money was used to pay the premiums on the policy. In a community property state, the cash surrender value in a whole life policy will usually be considered an asset. An important course of action upon divorce is re-assessing the life insurance beneficiaries. Too often the owner of the policy will forget to remove an ex-spouse following a divorce. The end result is the ex-spouse remains the beneficiary and would receive the death benefit payout upon the insured’s death. Usually, the main purpose of getting life insurance to fulfill the requirement of a divorce decree is to provide for the children or the ex-spouse. If the spouse who was paying alimony or child support dies, there may be no money left to provide for the kids or the ex-spouse. If there is no child support going to the children than the children will suffer further hardship. Additionally, if there is no alimony going to the ex-spouse, the ex-spouse will suffer undue hardship. Therefore, a divorce decree that requires life insurance makes it mandatory that the supporting ex-spouse buys and maintains a life insurance policy naming the ex-spouse or children as the beneficiary. A life insurance requirement as part of a divorce settlement is language in the divorce decree that requires one or both parties to maintain a life insurance policy. Usually the policy must be kept in force until the youngest child is 18. Alternatively, the terms of the settlement may also require the insured to have life insurance coverage in place for the lifetime of the ex-spouse (usually with a clause about ending the policy if the ex-spouse remarries). Typically, the primary bread winner of the household will take out the policy and name either their ex-spouse or the children as the beneficiary. If the children are named, it is important to provide a trustee or guardian who will control the proceeds from the life insurance policy until the children reach 18 years of age, otherwise the court will make the decision for you. Special relief in matrimonial actions. a. … The court may also order a party to purchase, maintain or assign a policy of accident insurance or insurance on the life of either spouse, and to designate in the case of life insurance, either spouse or children of the marriage, or in the case of accident insurance, the insured spouse as irrevocable beneficiaries during a period of time fixed by the court. The obligation to provide such insurance shall cease upon the termination of the spouse’s duty to provide maintenance, child support or a distributive award. Essentially, insurance may be required by the court to be maintained on the life of either party, to be owned by either party, naming either spouse or the children as irrevocable beneficiaries, for a period not longer than the mandatory payments under the divorce decree. Check with your local state domestic relations law for more state specific information. One of the primary concerns is if the life insurance will be included in the deceased spouses estate. Although normally life insurance is not taxed, there are occasions when it can be taxed, especially if it is part of a large estate. The primary way this occurs is if the decedent had incidents of ownership in the policy. IRS Reg 20-2042-1 Incidents of ownership includes the power to change the beneficiary, to surrender or cancel the policy, to assign the policy, to revoke an assignment, to pledge the policy for a loan, or to obtain from the insurer a loan against the surrender value of the policy, etc. Therefore, if you are the insured, one great way to avoid your estate being taxed on the life insurance proceeds that are for the benefit of an ex spouse is to make sure there are no incidents of ownership given to you, the insured. One step to take would be to assign ownership of the policy to the beneficiary ex-spouse, as this may help safeguard the decedent from having the life insurance be part of his or her estate. Note: we are not tax experts and are not providing tax advice. Please consult a tax professional if you have any questions. Why should someone consider life insurance in a divorce settlement? Life insurance for a divorce settlement should be considered when one spouse is a primary wage earner and the other spouse either does not have the training necessary to make a similar income or has not been working and would find it difficult to assimilate back into the workforce.Essentially, the life insurance protects child support and alimony payments if the primary insured dies. Basically, the life insurance policy is taken out on the life of the primary bread winner. When/if the primary insured dies during the life of the policy than the death benefit will be paid to the beneficiary. Including life insurance as a requirement in a divorce decree can be a win-win for both parties as it protects the financial well being of the beneficiary spouse but it also may provide the insured spouse with some leverage in the divorce proceedings. The life insurance would typically insure the divorcing spouse who is the primary wage earner. The beneficiary ex-spouse should consider having the court make it mandatory that they be the policy owner to ensure the life insurance coverage stays active. A good rule of thumb is to seek 5-10 years worth of income for the face amount. For example, if the husband was earning $60,000 a year in his current job, then a policy for $300,000 to $600,000 would be appropriate. Both parties will need to agree on what multiple of income to use. What type of life insurance policy would be best for a divorce decree or settlement? When buying life insurance for a divorce settlement, navigating the different types of life insurance policies available to choose the right one is essential. There are two main types of life insurance you need to consider: whole life versus term life insurance. A whole life policy is great but can be cost prohibitive. If your main concern is protection for the rest of your life then a whole life policy or universal life policy is the best option. If the funds are available, a paid up life insurance policy would also be a great choice. However, if the primary need is to protect the kids while they are still considered dependents, then a term policy will be the most cost effective. The policy can be tailored to be in existence until the youngest child reaches the age of emancipation, typically age 18. We also offer no medical exam life insurance for divorce decrees or settlements that can be in force in as little as 15 minutes with coverage available up to $1,000,000. What term length would be necessary? If term life insurance is the appropriate choice then the term should be structured so that the policy ends either when child support would end or some other quantifiable timeline. For example, if the youngest child is 3, then a 15 year term would be needed to make sure income continues until the child is 18. Need a life insurance for a divorce decree fast? Are you currently engaged in a divorce settlement and need to buy life insurance fast? We can have life insurance required in a divorce settlement for you in 15 minutes with some of the no exam term life insurance policies we offer. See our article Life insurance: Exam v. No Exam, which will explain the differences between a fully underwritten life insurance policy compared to a no medical exam life insurance policy. No physical exam life insurance for a divorce may not be ideal for every client. But for those of you who need fast life insurance for a divorce, there really is no better choice. We are an independent life insurance agency. Our primary focus is finding you the best priced life insurance to meet your specific need. Since there is no “one size fits all” policy, we take the time to ask the right questions to make sure we are offering you the best policy at the best price. Give us a call today for a free consultation. Thank you for reading our article, Using Life Insurance for a Divorce Settlement or Divorce Decree. Please leave any questions or comments below. Ok so after reading this article, my ex spouse died..In our divorce decree it stated he was to maintain work life insurance policy at all times there was a child support and alimony obligation and I was to be the beneficiary. That was the extent of the clause. I am remarried and the children are all over the age of 20 when he passed 2 months ago. He did owe some arrears. I am not the beneficiary of the life insurance. It would be inappropriate for us to comment on your circumstances since we don’t know all of the details. But what we would recommend that you do is try to contact the insurance company that insured your ex-husband and ask them what they can tell you about the status of the policy that you mentioned. From there, you’ll likely have a better idea of what your rights may be.